Calacas shower gel was first made in a green color in 2011. It has the “Day of the Dead” lush fragrance. Lime oil, neroli oil. It smell slike a light, fragrant perfume. Like Lime pastille candies but not as sweet. It’s beautiful. More current are the Calacas that look different colors depending on what kind of light you’re looking at it under. 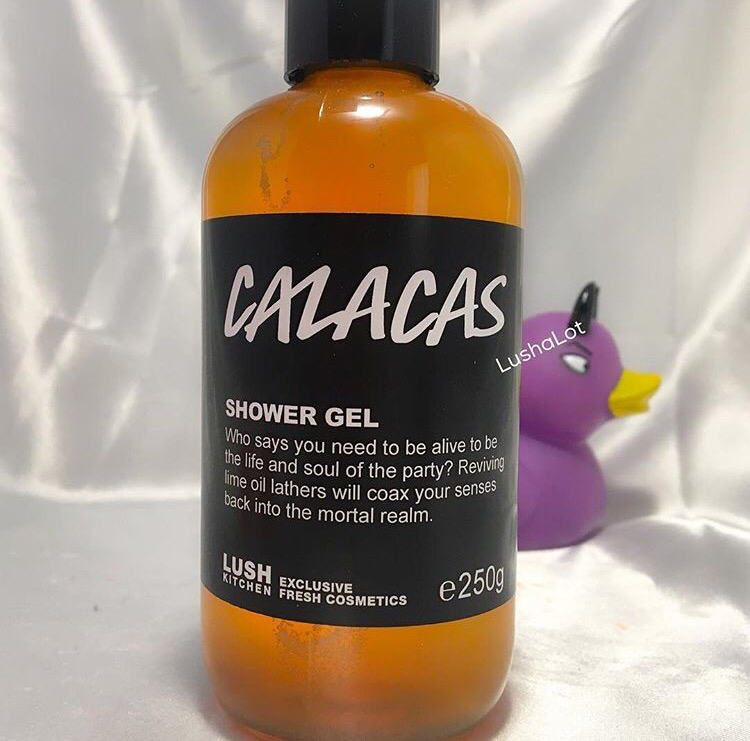 Most of the current bottle of Calacas shower gel look like two colors, orange and green, in the same bottle, that is so cool. Here’s a picture i took of all the Lush products that have been made in the same fragrance. Posted on August 21, 2015 by Lushalot	• This entry was posted in Halloween Past, Shower Gels and tagged calacas, calacas scent family, calavera, day of the dead, enchanter, halloween, Lady Catrina soap, Lime oil, neroli, nightwing jelly, scent family, skullduggery. Bookmark the permalink.